This is the first volume specifically dedicated to the consolidation and clarification of Heritage Studies as a distinct field with its own means of investigation. It presents the range of methods that can be used and illustrates their application through case studies from different parts of the world, including the UK and USA. The challenge that the collection makes explicit is that Heritage Studies must develop a stronger recognition of the scope and nature of its data and a concise yet explorative understanding of its analytical methods. The methods considered fall within three broad categories: textual/discourse analysis, methods for investigating people’s attitudes and behaviour; and methods for exploring the material qualities of heritage. The methods discussed and illustrated range from techniques such as text analysis, interviews, participant observation, to semiotic analysis of heritage sites and the use of GIS. Each paper discusses the ways in which methods used in social analysis generally are explored and adapted to the specific demands that arise when applied to the investigation of heritage in its many forms. 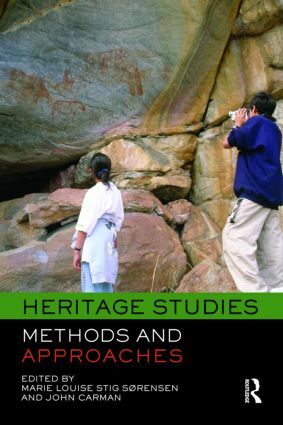 Heritage Studies is a seminal volume that will help to define the field. The global perspective and the shared focus upon the development of reflexive methodologies ensure that the volume explores these central issues in a manner that is simultaneously case-specific and of general relevance.